There are some startling facts that you may be unaware of about being charged with driving under the influence (DUI) in Georgia. The biggest shock for many people is discovering that a one-year license suspension is automatically headed their way – even if they’ve never been to court or pronounced guilty. You read that correctly; you could actually lose your license to drive without ever seeing a judge or jury. How is this so? Unless an administrative appeal is filed with the Department of Driver Services within 10 business days of your arrest to challenge the suspension, you will automatically lose your driving privileges for a year. For this reason, it’s urgent to file a timely appeal to protect your ability to drive and keep your license active. 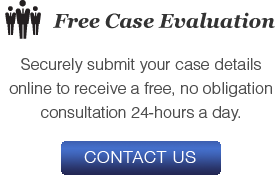 The Law Office of The Turner Firm, LLC offers a free appeal letter and can even ensure submission to the DDS on your behalf. Another detail that trips up many individuals is mistakenly assuming that the state of Georgia allows their DUI record to be expunged after the passage of time. Unfortunately, a DUI conviction remains on your criminal record forever, following you to the grave. Since a criminal record can jeopardize your present employment and future career, it’s vital to aggressively contest any charges with an experienced and highly qualified DUI attorney. It is a criminal offense in Georgia to operate a car, truck, motorcycle, or pilot a watercraft when a motorist’s ability is impaired by the use of alcohol or drugs, or if a driver’s blood alcohol concentration (BAC) is above regulated allowances. Drugs that may compromise driving abilities include street drugs, prescription medications, and even over-the-counter medication. Jail time, probation, steep fines, community service, driving restrictions, and alcohol treatment programs are all possible if you are found guilty of a Georgia DUI. Because judges must follow the “mandatory minimum” sentencing guidelines, even a first-time offender could spend at least 24 hours in jail. Judges are also free to impose harsher penalties and often do because of public pressure or their own private views. Several factors could result in even stiffer punishments. The judge will consider any prior DUI offenses, the presence of a child or children in the vehicle, whether any other moving violations occurred, whether a commercial vehicle was being operated or whether there was any property damage, injury, or death. If your BAC is over the legal limit, or if you decline to take the chemical tests, your license will automatically be suspended for a year if it is your first offense, three years for a second offense, or five years for a third offense. An ignition interlock device may also be installed in your vehicle when you finally do regain the ability to drive. Similar to a breathalyzer, this device will prevent your vehicle from starting unless your BAC registers under .02%. For a fourth DUI offense, your vehicle may be confiscated. Even in the most lenient sentence, you will be required to complete a mandatory alcohol education course as well as substance abuse assessment and/or treatment. Due to public pressure and media attention, judges are unlikely to be lenient in DUI cases where individuals plead guilty; therefore, hiring an experienced and affordable DUI lawyer is more important than ever. The DUI defense attorneys at The Turner Firm, LLC win more cases where individuals are charged with DUI than any other law firm in the State of Georgia. An attorney is always available, 24/7, to talk with you and to answer any questions you may have. Copyright © GeorgiaDUILaws.Org, All Rights Reserved.